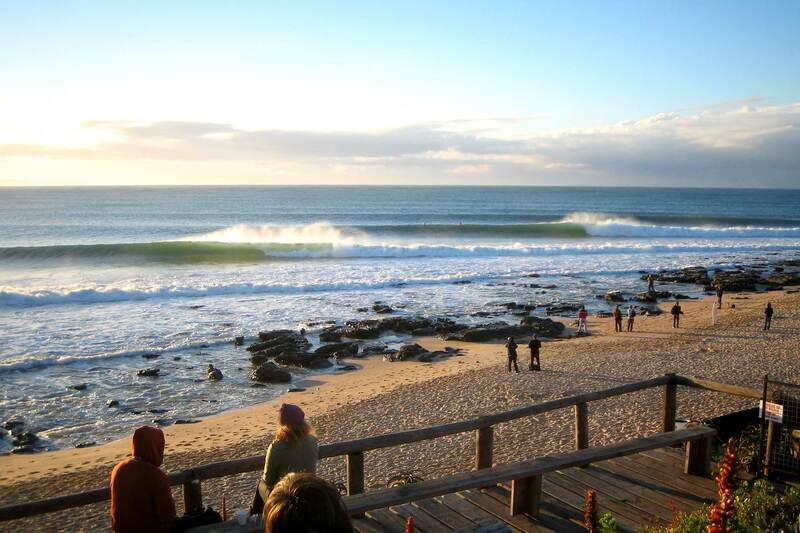 This is the world famous beach where the Billabong pro is held every year over July. It is renowned for being one of the longest and most perfect right hand breaknig waves in the world.The waves here get big; I mean 10- 12ft kind of big, and super fast. This wave is so epic catching just one will give you long lasting euphoria. Works best on low tide with a strong offshore to keep the face open. Because Supers needs a good ground swell to work properly it relies on the cold fronts that move past the South African coast during winter. Just above Supers lies Boneyards. This is usually a bigger wave, and more crunching, thus the name boneyards. The rides are not as long as Supes but there are good barrels to be had breaking left and right. Down the beach from Supers you will find Tubes. A short right that offers some epic barrels with a pretty fast take off. The take of zone gets crowded pretty quickly on good days and as with all the point breaks in the region this spot works best on the low to pushing tide. You can use the same chanel as you would for Point to get out here. Below Tubes you will find Point which is long boarders paradise. A slower breaking wave which is not as hollow or fast Supers but which offers the chance to get laid back and still have an awesome surf. This spot really comes into it’s own with a 4 – 6ft wave as on larger days it can be quite a paddle to get. Further down from the point towards Port Elizabeth you will come accross Albatross. This break spot works beautifully in a N-W wind which is a bit too cross shore for Supers and the other breaks up the beach. This spot is on the other side of Jeffres Bay next to the Main Beach. It is a peak breaking left and right and works better on the low tide. It can be a bit of a paddle to get out on bigger days if you get it on a good day Kitchen Windows offers some epic rides. This spot is generally surfed by beginner surfers.